Farm-fresh lettuce. Tomatoes and cucumbers straight off the vine. The Kohala Center’s “Cool Farms, Hot Lunches” learning events continue with a visit to Hamakua Springs Country Farms with owner Richard Ha from 9 a.m. to 1 p.m. Saturday, June 27. 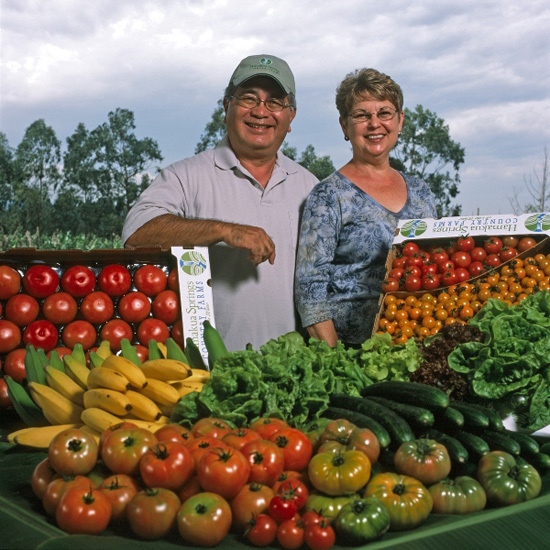 Ha and his wife June operate Hamakua Springs Country Farms (formerly Keaau Bananas). The 600-acre hydroponic farm on the Hamakua coast produces tomatoes, lettuce, cucumbers, and other specialty vegetables for island markets, restaurants, and top local chefs. The farm also works at the intersection of food and energy production. Learn about the farm’s alternative energy use and its development of a “zero-waste system” in response to rising energy costs. End the morning by joining Richard and June Ha for lunch. The Kohala Center designed “Cool Farms, Hot Lunches” as a way for participants to connect with one another, with cultural and scientific experts, and with Hawaii Island’s natural, cultural, and spiritual landscapes. * “Salt-making in the Ahupuaa of Kaupulehu” on Saturday, Oct. 24. During farm visits, hosts will share their favorite recipes. Space is limited. Reserve the Hamakua Springs Country Farms visit now. Cost is $25 for The Kohala Center’s Circle of Friends; $75 for nonmembers, which includes event and Circle of Friends membership.